UPDATE (2015/07/13): Now using the v1 API. I was trying to get a Go app running on Container Engine and couldn't quite find what I was looking for. 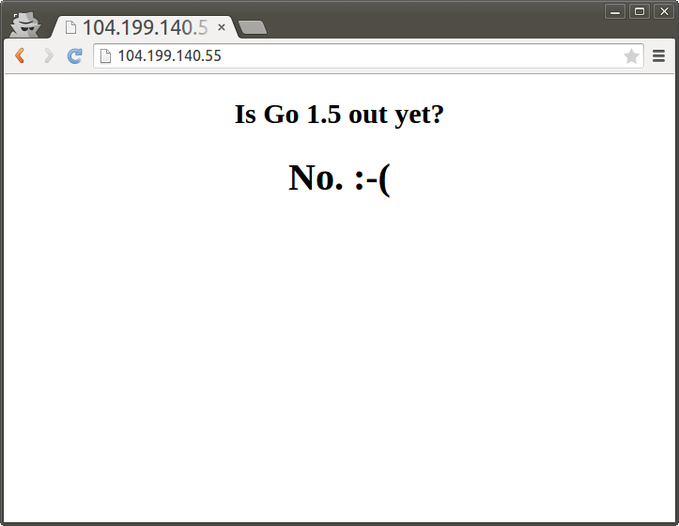 There are guides out there about how to use Go and Docker, and how to use Kubernetes but but not many about Go apps and Container Engine. I also found it easy to deploy apps but most guides lacked information on best practices for how to maintain apps through regular upgrades so I decided to research it and write a post about it myself. 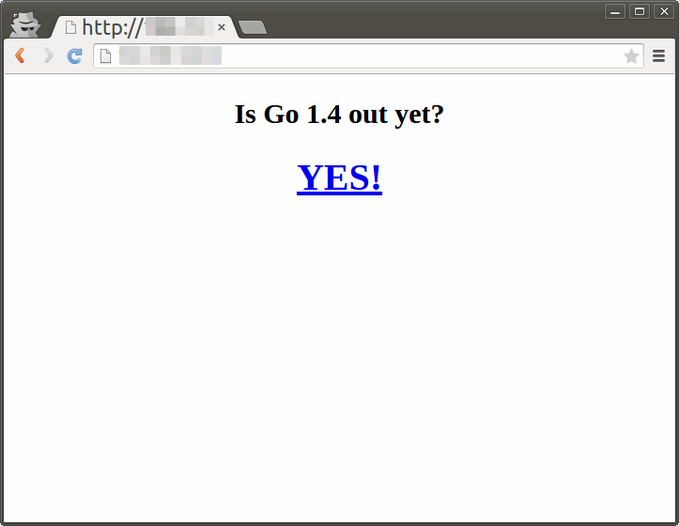 This post is a continuation of the Deploying Go servers with Docker article on the Go blog. Make sure you run through building the Docker image. You will need the gcloud tool so make sure you have the Google Cloud SDK installed. Next you'll need to create a project on the Google Developers Console. Make note of the project id. Once you have that done you will need to tag the image using docker. This will set the repository and tag it with the version 'v1'. Next push the image to the registry. You may get warnings about installing the preview components. Just say 'yes' to install them when asked. Next we'll deploy our container engine cluster. We'll use the gcloud tool again. You may get warnings about installing the alpha components. Just say 'yes' to install them when asked. The pods will say their state is Pending at first but will change to Running when they are ready. This should take about 30 seconds to run as we have 3 replicas and we've set the update period as 10 seconds per replica.